Thanks for supporting local authors Southern Independent Bookseller Alliance! Shop local and support Indie Bookstores! Several years ago, I found the 1969 reprint of this book on a shelf in Books on Broad in Camden and was drawn to it because of the illustrations. Though in pen and ink, the details are realistic and give a vivid portrait of the characters and the happenings. 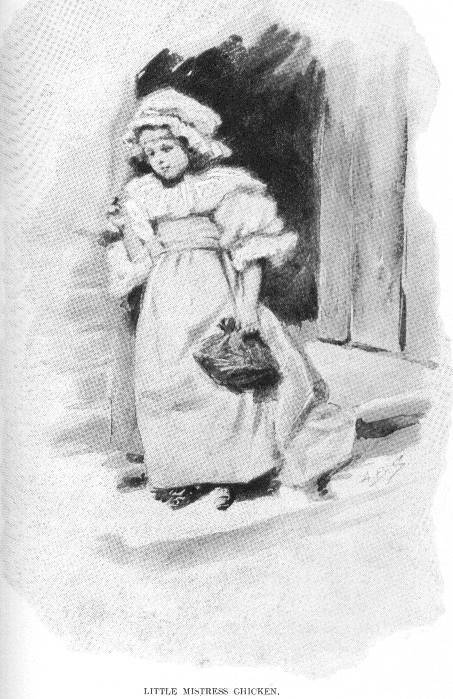 “Little Mistress Chicken” first appeared in serial form in The Youth’s Companion. It was republished in 1913 and 1925, reprinted in 1993. This is the innocent heroine. Maybe you are familiar with the now non-existent town of Childsbury, St. John, Berkeley, but I had never heard of it. James Childs built a settlement here in 1707; it was one of the first towns laid out in Carolina by the English settlers. He built a ferry and gave 600 acres away to others for farming. Property was given for a college, a free school, a schoolmaster’s house, a town square, and a place of worship. Catherine Chicken was the great granddaughter of James Childs. Her story is ghoulish, at best, and abusive at its worst. The cruelty, greed, and pride of the schoolmaster, Monsieur Dutarque astounded me. 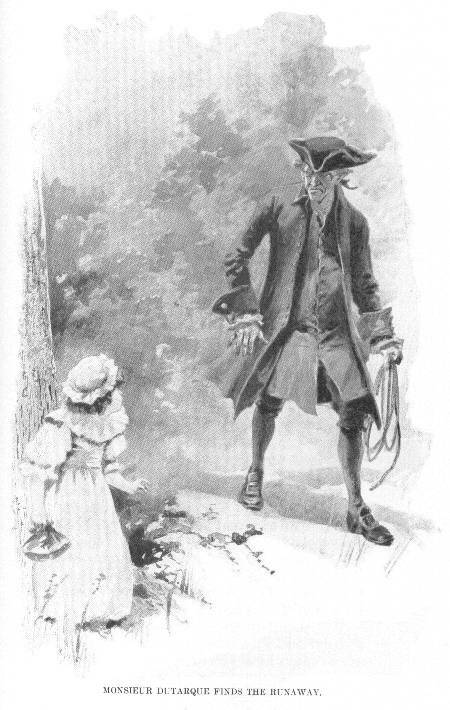 He tied the young girl to a stone in the local cemetery. He deserved to be run out of town in 1748. 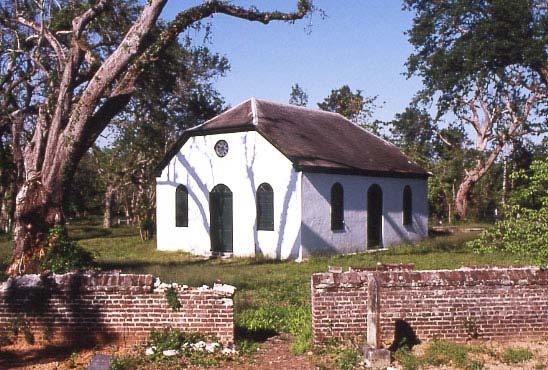 This is the Strawberry Chapel where the young Catherine Chicken was tied to the tombstone by her teacher. It was built around 1725. Various legends and tales surround the chapel of Strawberry that is now on private property and closed to the public.Four services are held there each year, and it is on the National Register. A chapel of simple yet dignified architecture, Strawberry is located on Highway 44 just off SC Highway 402 on the Cooper River approximately 10 miles from Moncks Corner. In the book, Catherine’s story is told in the vernacular of the day, and the suspense is real. I was delighted that she did “live happily ever after” after she was rescued by a slave and then her Aunt Ann. She married Mr. Benjamin Simons but carried the memories from that nightmarish night in the cemetery to her death. Looking at this illustration, a reader can understand why. Posted in Events, Historical People. Bookmark the permalink.